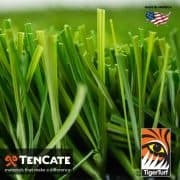 With SGW’s Multiplay Sport, you can stay focused on the game and not tedious lawn maintenance. TigerTurf Multiplay Sport features a beautiful dual shade of field and olive green colors with an approximate height of 1.5” to help achieve a natural appearance. 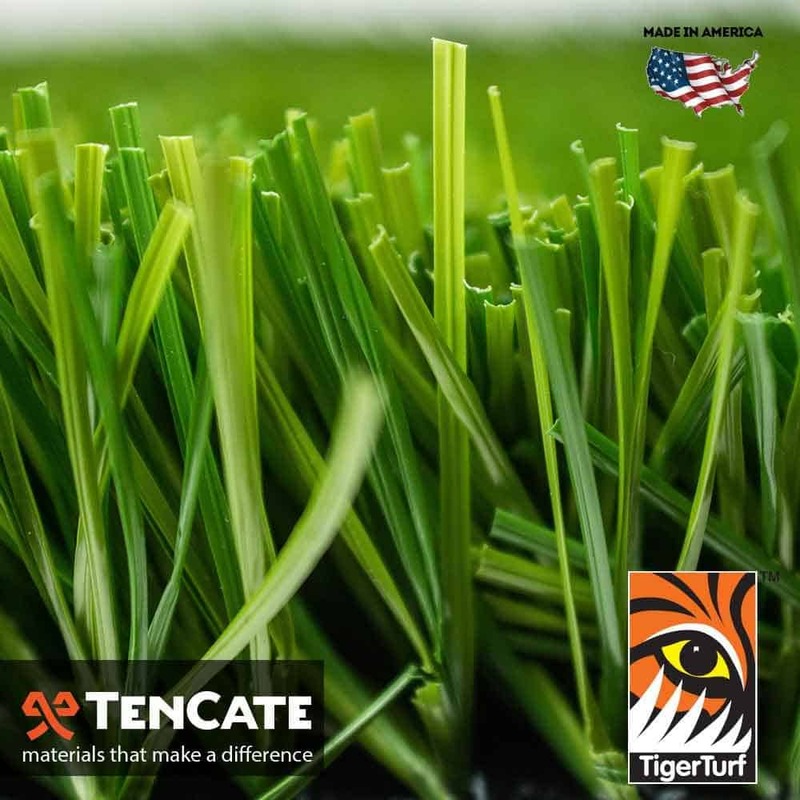 TigerTurf Multiplay Sport was designed specifically for sports application to enhance recovery so that your turf can handle the roughest of play. Football, soccer, golf, rugby…the list goes on! 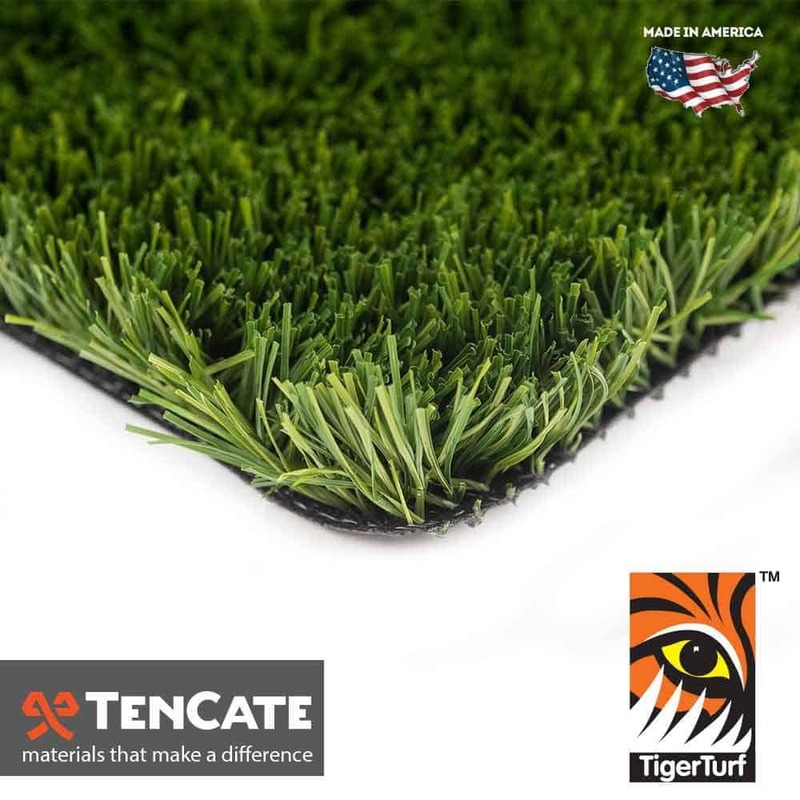 The uniquely formulated polyurethane coated backing provides greater seam strength and durability so that you can enjoy TigerTurf Multiplay Sport for years to come. Rain or shine, the game must go on – we made sure this product is heat and frost resistant so it can play as hard as the team. 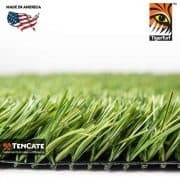 Each grass blade is triple reinforced into the backing which provides this turf with an exceptionally strong resistance to pull force so that this turf can handle moderate to heavy traffic. In addition to the latest in synthetic turf tuft bind technology, the backing is also perforated so liquids can easily pass through without the residue. All Multiplay Sport products are lead-free with no harmful environmental effects so that your teammates can stay safe on and of the field!